I call this recipe simplicity in itself. This gluten-free, low-calorie kale with cumin chicken salad is packed with antioxidants, vitamins, fiber and protein. 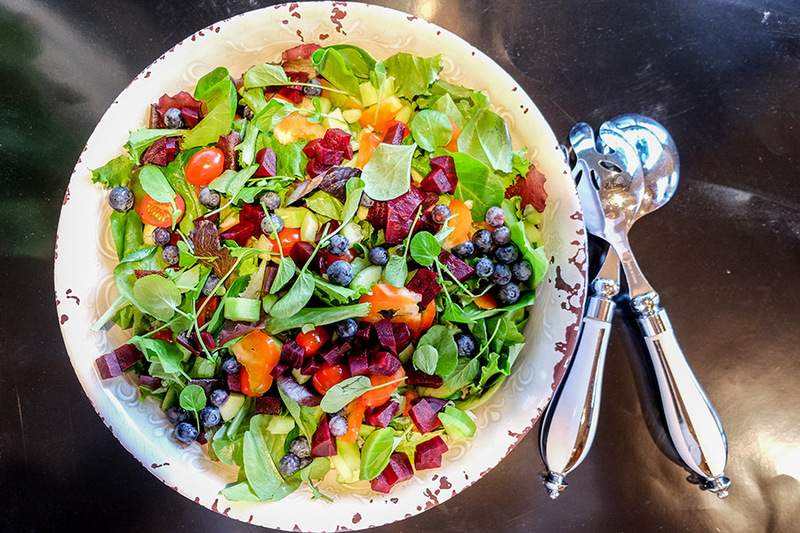 When following a weight-loss diet, eating clean, well-balanced meals is essential. 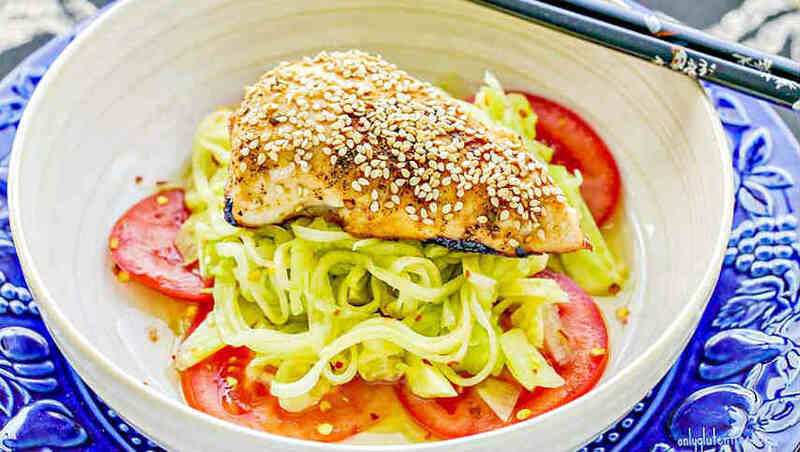 This delicious sesame chicken with sunomono salad has approximately 339 calories per serving. Enjoy! Smoothie bowls are delicious, healthy, satisfying and super easy to make. 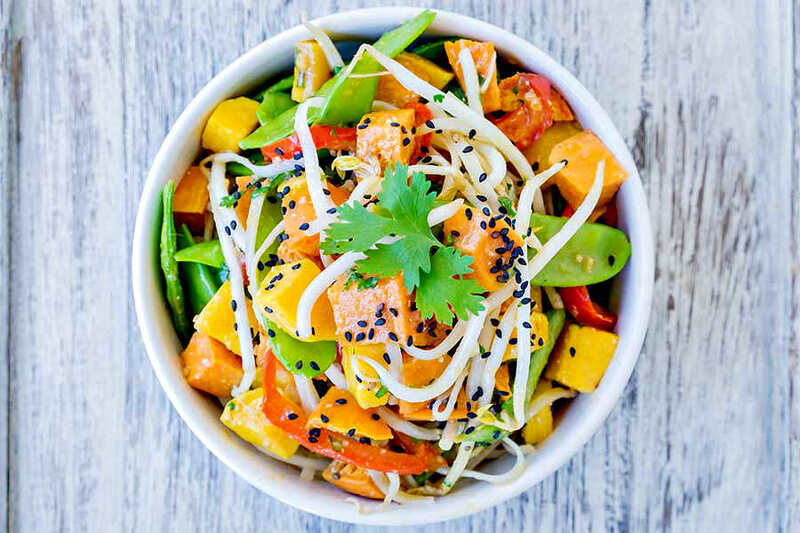 This nutrient dense smoothie power bowl takes only 5 minutes to prepare. 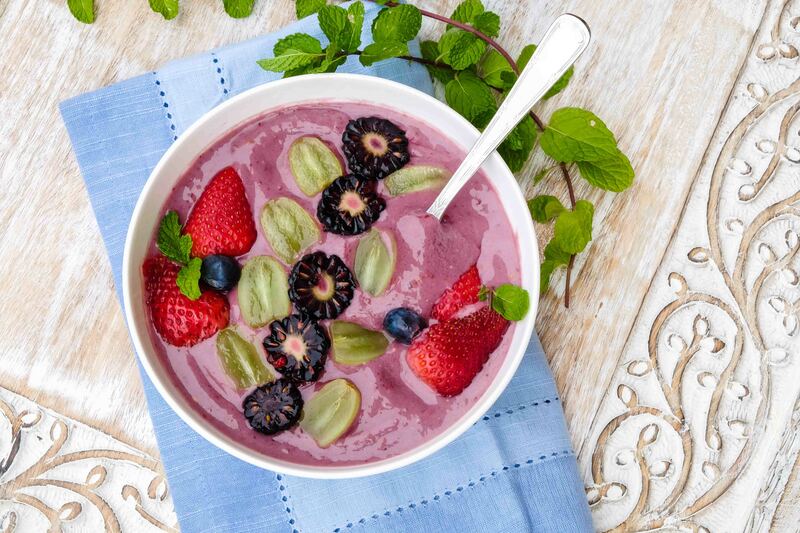 Using fresh fruit as a sweetener with added flax and maca powder makes this smoothie a powerhouse of smoothie bowls. I have chosen berries and grapes for the topping, but you can select any fresh fruit or nuts and seeds that you desire. Enjoy! Ditch the traditional flour or corn wraps and bring on collard greens. 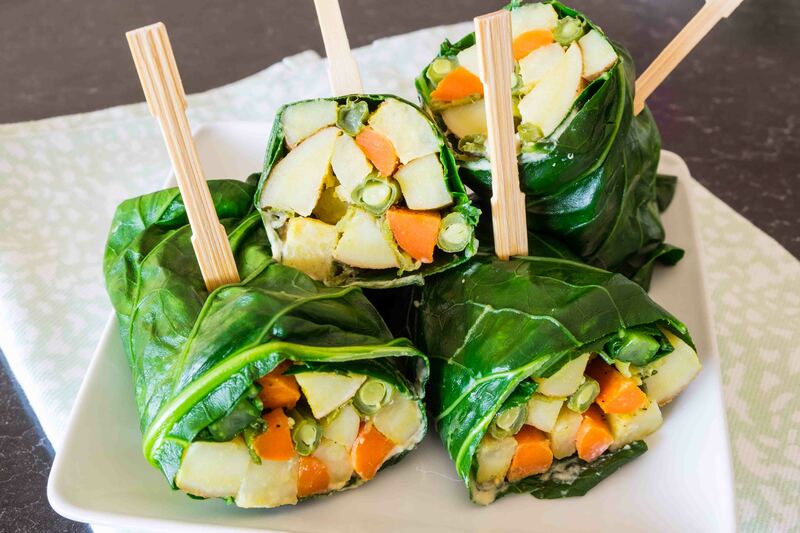 This delightfully tasty wrap is filled with lightly flavoured roasted veggies and cashew spread. Roasting intensifies the flavour of veggies giving this wrap another dimension. Collard greens are high in nutrition and low in calories. This green leaf vegetable contains protein, vitamin A, calcium and fiber. 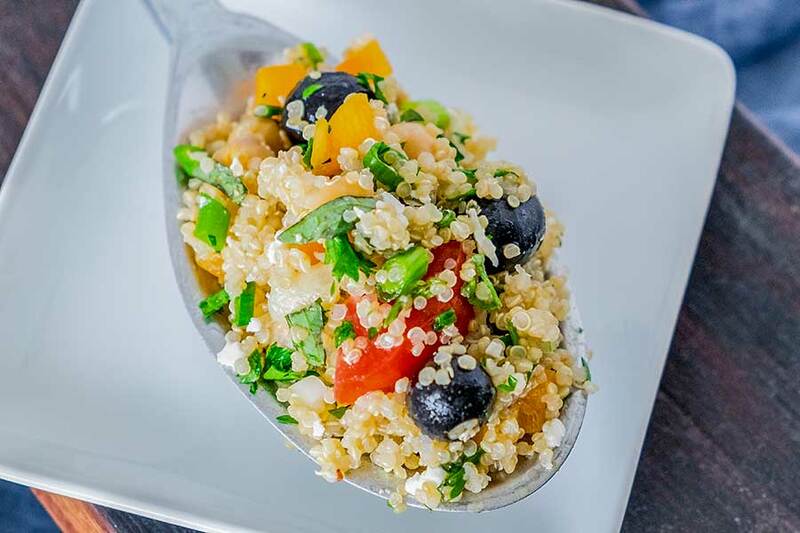 When following a healthy gluten-free diet, this wrap is a winner! 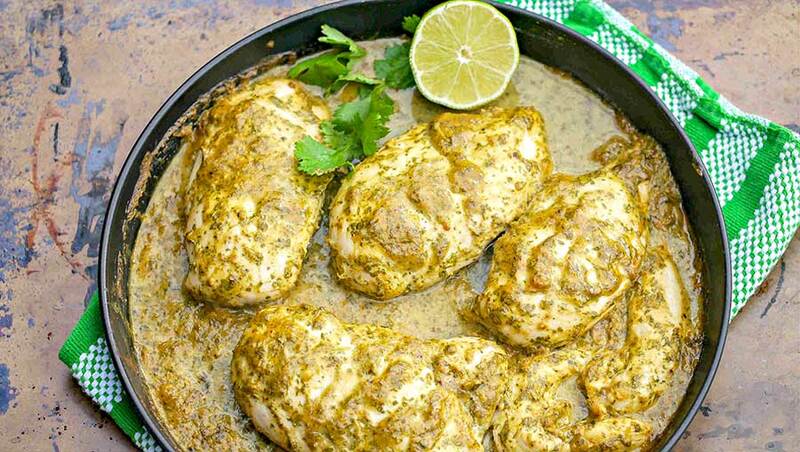 This recipe is a real reviver. 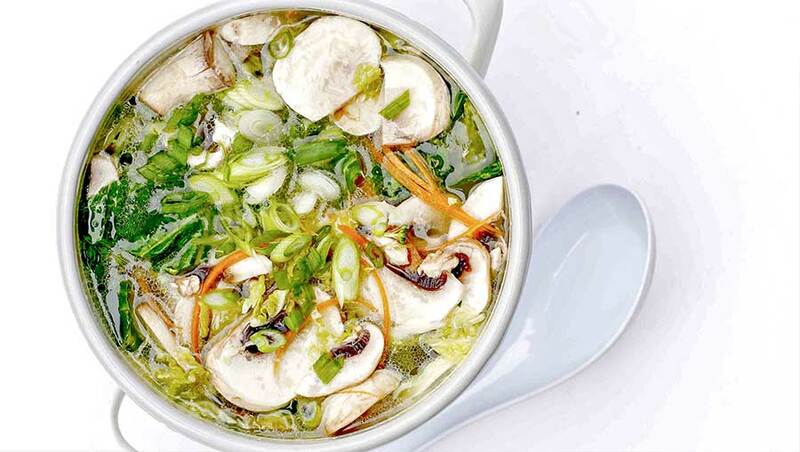 The soothing, comforting and gentle flavours of clear broth, will remind you how very delicate, simple food can be. 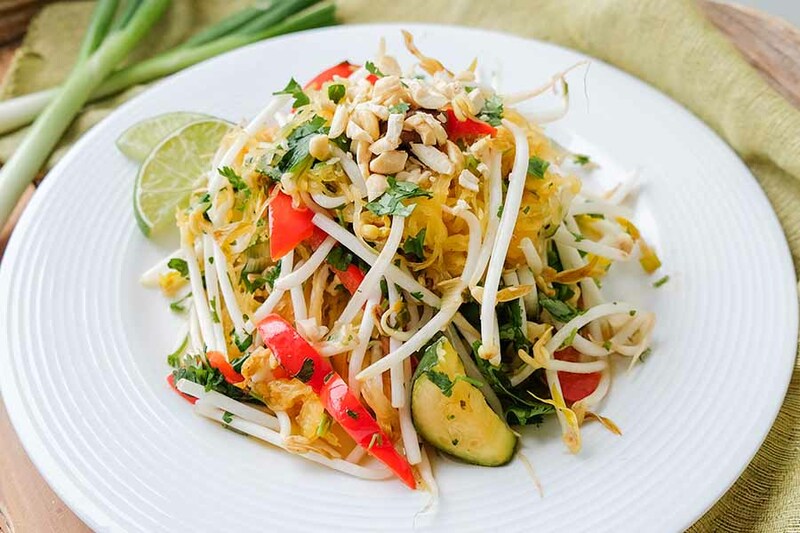 This tasty, healthy soup can be served as is or over rice noodles. Turmeric and ginger are natures way of helping our bodies lower inflammation. 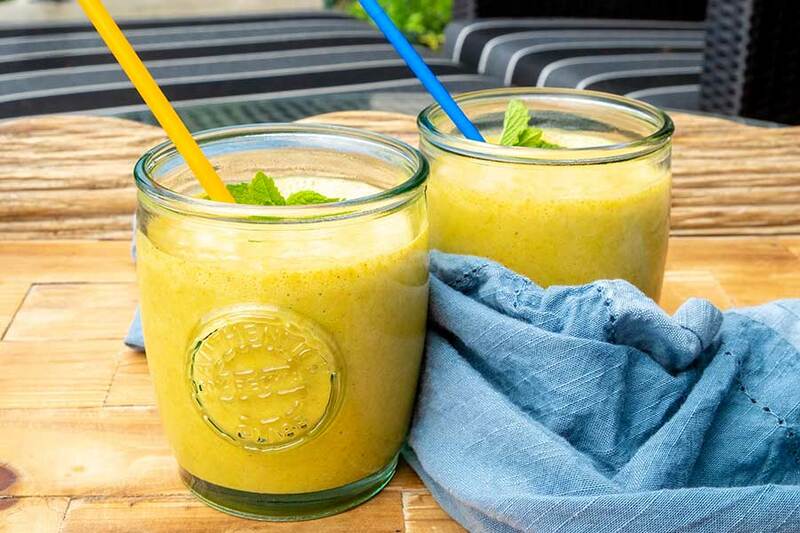 Add chia to the mix and this refreshing apricot turmeric ginger chia smoothie will help to pull toxins from your body and improve your digestive tract. Also, apricots are low in calories, are an excellent source of vitamin A, Fiber and packed with antioxidants. Enjoy!